You’ve heard the saying “less is more”. The sparse Soft Hackle Fly written about extensively by Sylvester Nemes, and effectively fished by anglers all over the world is a proven winner during the March Brown emergence. Barrett ties a simple version using Hareline Ice Dub for the thorax (not sure if Syl Nemes would have approved). Fish it on a floating line, a leader at least 9 feet long, cast down and across and swing. 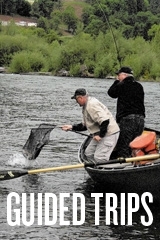 Regardless of the time of year, the Soft Hackle fly takes fish on the McKenzie and Willamette Rivers. 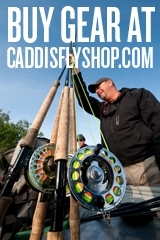 Early in the season use larger sizes #10-12, as the water drops and clears, use smaller lighter colored patterns in #14-18. 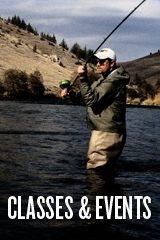 This entry was posted in Fly Tying, McKenzie River, Middle Fork Willamette River fishing. Bookmark the permalink. I don’t think Syl Nemes would mind too much that Ice Dub was used for the thorax. The only thing Syl didn’t like was metal beads added to flies. Nice looking fly, i’ll have to try using Ice Dub on some “Soft Hackles”.